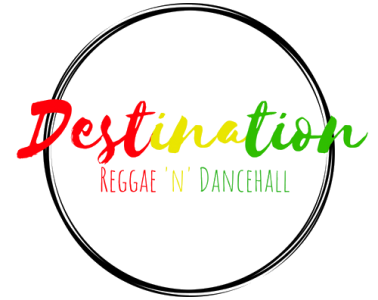 The One Drop Rhythm is a key element to a lot of ground breaking reggae music and is one of the elements that really helped to distinguish reggae from other genres of music when it first started to reach new fan bases around the world. The origins of the one drop rhythm are often disputed having been attributed to a number of artists including Carlton and Aston Barrett of the Wailer; and Winston Grennan, with Grennan being a long time studio drummer having worked with Studio One, Treasure Island, Federal and Beverly’s. The One Drop Rhythm is seen as a outgrowth of ska and rocksteady, combining these genres with traditional Jamaican forms of music such as mento, burro and kumina. The first piece of music to really blend the cultural heritage of Jamaica with the new upcoming genres of music came in 1959 with Prince Buster’s ‘Oh Carolina’ which utilised the traditional drumming patterns of Rasta master drummer Count Ossie. Combining his drumming with the then current sound of ska, to create something that really is a stepping stone towards reggae and the combination of modern and traditional Jamaican culture. The One Drop Beat has certain characteristics, with a dominant snare drum stroke, often combined with a click produced by stick crossing; and the dominant bass drum. Both the snare and the bass sounding on the third beat of every four, while the first beat is left empty. Meaning the expected beat on the first beat is ‘dropped’, hence the name ‘One Drop’. The perfect example of this drum beat on is Bob Marley’s ‘One Drop’, in which the beat is explained. There are two main variations on the original One Drop beat, with the rockers rhythm which is essentially the same as the One Drop with a steady bass drum on every eighth note, rockers is often slower than the One Drop. This instrumental demonstrates the slower pace of the rockers rhythm perfectly. The other variation is the steppers rhythm, which again is essentially the same as the One Drop beat with a steady bass drum on every quarter note. This is a little demonstration of the steppers rhythm in action. The One Drop beat was really popularised with Carlton Barrett, who was the long time drummer of Bob Marley and the Wailers. This signature drum beat can be seen in many of their most famous songs with ‘No Woman, No Cry’, ‘Three Little Birds’, ‘Get Up Stand Up’,’Waiting in Vain’,’Stir it Up’, ‘One Love’ and ‘I Shot The Sheriff’, all of which are on the incredible Legend compilation, featuring this drum beat. The One Drop beat has also gone on to be used outside of reggae with prominent examples in ‘You Enjoy Myself’ by Phish, ‘Lucille Has Messed My Mind Up’ by Frank Zappa and ‘The Spirit of Radio’ by Rush being often quoted examples. The One Drop beat is one of the sound altering elements of reggae. It has gone on to influence music far beyond reggae. The One Drop beat comes from the marriage of traditional and modern Jamaican culture, adding elements brought with slaves from Africa (traditional kumina and burro drumming) and combining it with the emerging modern forms of Jamaican music. The One Drop beat does not just symbolise reggae music, it symbolises the history of Jamaica, the richness of this genre of music and reggae’s cultural significance.